Is your child very interested in animals? Does he love the zoo visits and begs you to buy books on wild animals? If that is the case, you are one of the lucky parents whose child who was born with immense love for the animal kingdom. 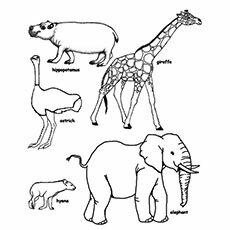 You should preserve this interest in animals and encourage it with a coloring book full of such wild animals. Just print these pages and let him fill them in with colored crayons. 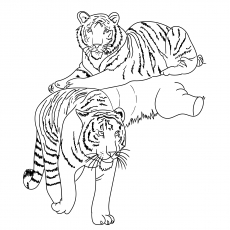 Here are 10 exciting wild animals coloring pictures that will bring a smile to your kid’s face. 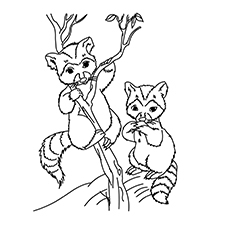 By coloring wild animals you can help will help to enhance the creativity of your little artist. This crocodile seems quite realistic, basking in the sun, as they are often seen in the wild. 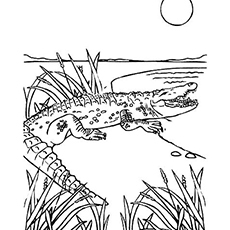 There is a water body in front of the crocodile and tall grasses. The sun is high up in the sky, and the horizon is broken up by low hills. 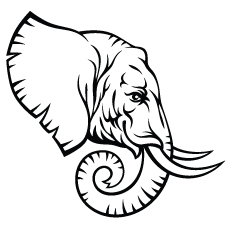 The image represents the wild through and through. 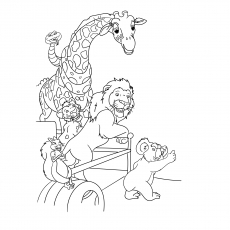 Your animal lover child would love coloring this. 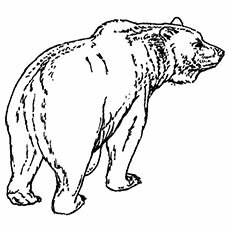 This is another realistic outline drawing of the wild. 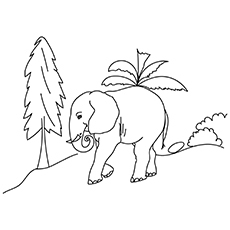 Here an elephant is seen making its way through the forest’s grassy terrain. There are some wild creepers and low bushes on one side of the image while tall palm trees are seen on the other side. This image is of a desert scene and three disgruntled looking tortoises are seen treading the dry terrain. 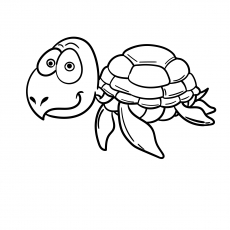 The tortoises are very realistic with scales on their limbs and face and brick-like patterns on their shells. There are some sparse, dry-looking vegetation and patches of short grass. This picture of the rattlesnake is less realistic but is still fun to color. 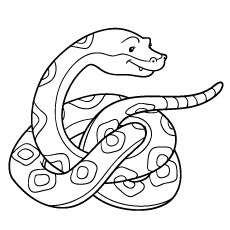 The snake has a malevolent expression on its face, reminding you vaguely of The Jungle Book. It has intricate patterns on it back which can be colored according to your child’s imagination. 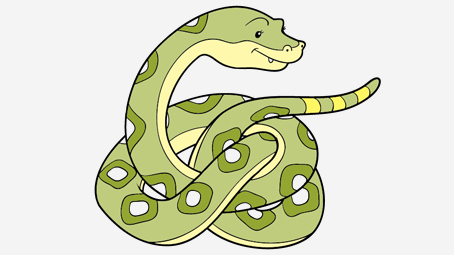 The snake seems angry, rattling away its tail and slithering out its forked tongue. This picture is rather realistic in nature except the anthropomorphism clearly shown in the cubs’ expressions. 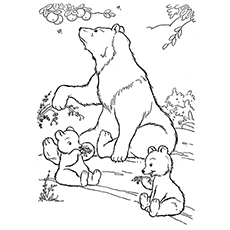 A mother bear is looking curiously at a few fruits hanging from the tree while her two cubs seem charmingly happy with the small berries that have got from the undergrowth. 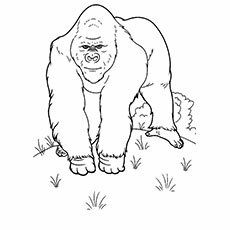 The gorilla is meant for children because it seems more of a caricature with its sort of clubbed feet and hands. 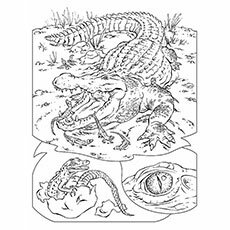 But if your child is a mere toddler, they will definitely love coloring this beast. This magnificent beast of the wild is a treat to look at. 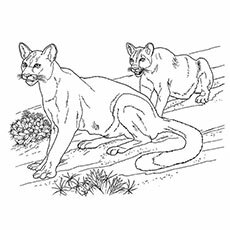 If your child plasters to the TV whenever a leopard comes on to the screen, they will definitely love coloring this picture. 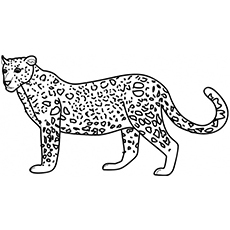 The leopard has some small spots, so it is best to reserve this image for your kid if they have been coloring for some time. 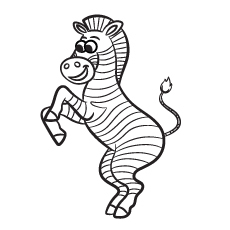 This is a very realistic outline sketch of a giraffe. The whole body of the giraffe is covered in mosaic like patterns up to the knee. 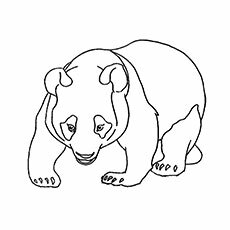 This pattern may seem very intricate, so again, ask your child to color it only if they have been coloring for a long time. 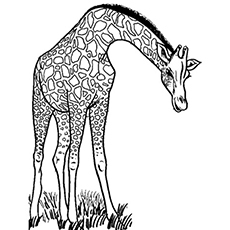 There is a bed of grass at the foot of the giraffe which can be extended by coloring. 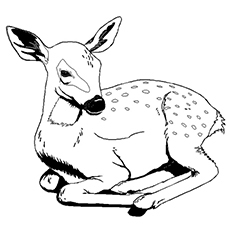 This deer is no Bambi- it is a clear, artistic reproduction of a real deer. 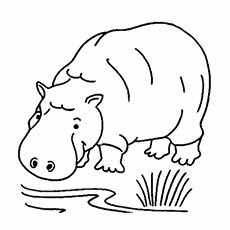 It has tiny spots on its back, patches of lighter color around its eyes and neck. 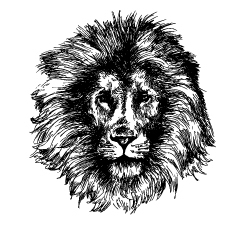 This image of the lion has a detailed mane, facial features and body. The lion is standing on a bed of rocks and the wild Savannah is visible in the background. There is no better way to teach your child new lessons than via fun and games. 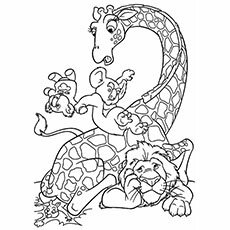 By giving your child to color these wild animals coloring pages printable, you are opening a new world to them. 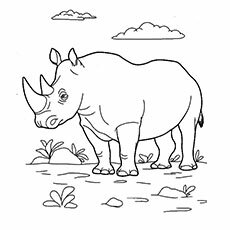 Younger kids will learn to recognize wild animals, while older ones can be taught fun facts about the animals as they color them. 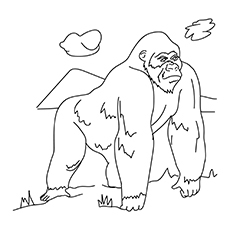 Hope you liked our wild animals coloring pages to print for your kids. 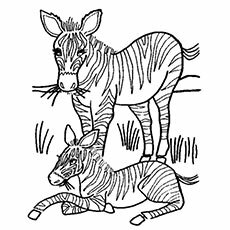 Don’t forget to tell us how your toddler enjoyed coloring these pages in the comment section below.